Nuraghe passageway, prehistoric Sardinian structure. 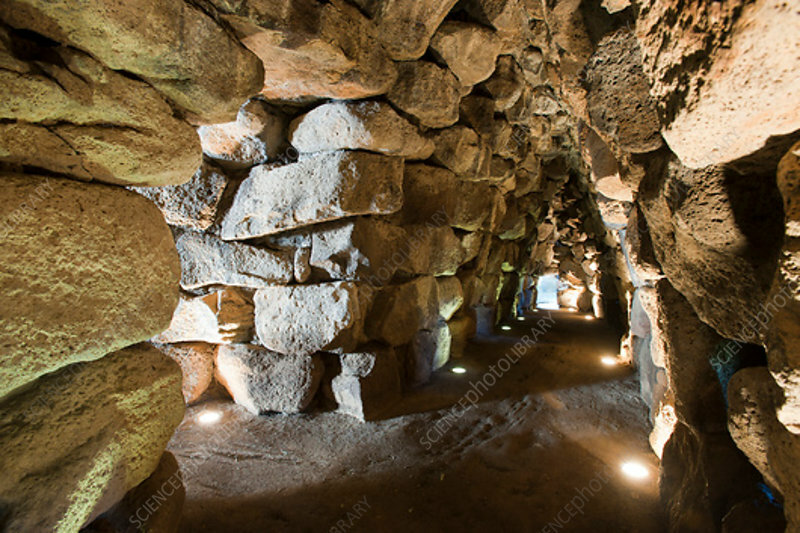 Internal area inside a nuraghe, a type of ancient megalithic structure found on the Italian Mediterranean island of Sardinia. They were built by the Nuragic culture, which dates from the 18th century BC. This passageway is inside Nuraghe Santu Antine, which dates from around the 16th century BC and is located near Torralba, Sardinia.